Marketing leading performance alloys e-tailer. 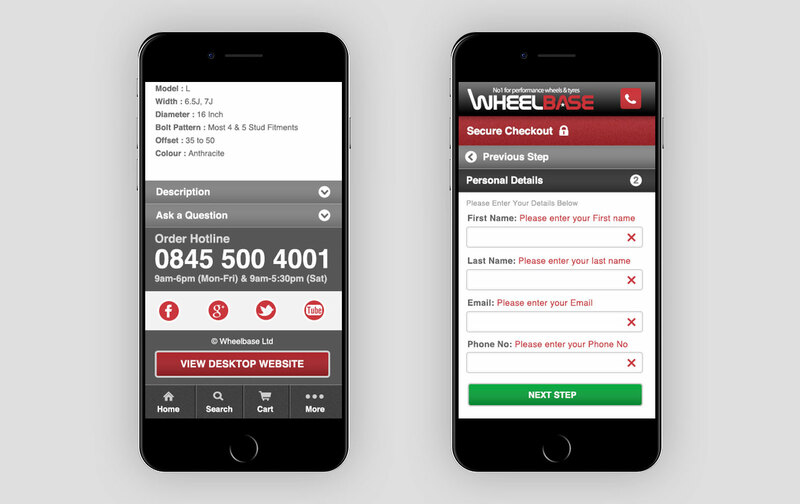 When we were originally approached by Wheelbase (an Alloy Wheels supplier based in Oldham near Manchester) to design their website, we stepped up to the mark without hesitation. We initially started to conduct a series of focus groups with internal staff and customers to find out what the business and service was all about. What we found out was the following: they provide a fantastic service, friendly approach, knowledgeable experts, both on the phone and online, who can help customers figure out exactly what products fit their particular vehicle. 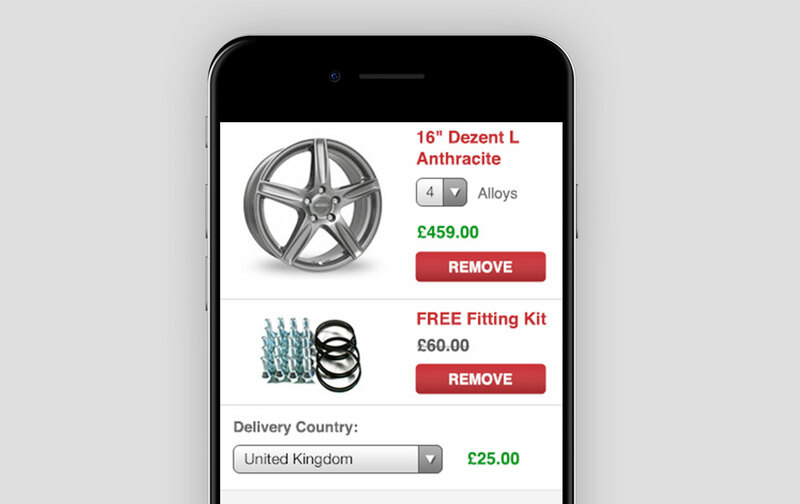 Everything about wheelbasealloys.com screams expertise and customer service. This gave us the essence of the direction we needed to take, to design a brand identity and design a website which instantly gave a potential customer confidence in spending their hard earned cash. We knew from the outset that the original brand was looking dated, in fact, it almost appeared like the logo had just happened by chance, by way of a rushed creative perhaps? The logo design we created, not only exudes confidence, credibility and relativity to the target audience, but its also clear, crisp and punch enough to stick in their minds. How to design the Website? We started by looking at the target audience and ensuring we were able to offer the user as many options as possible, as many inspirational ideas as possible as this audience is interested in one thing, “would these wheels look good on my car?” The colour palette within the website follows the brand logo design as we felt it was important to reiterate this as we’d almost look to create a brand that followers would respect and promote. 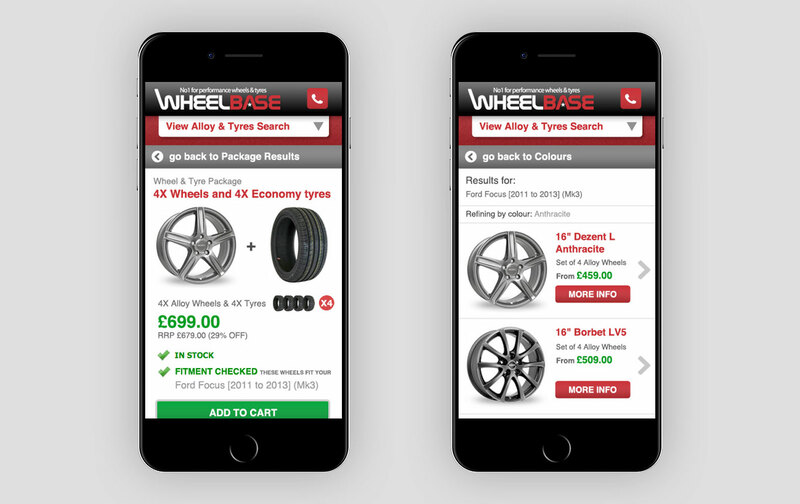 Over a healthy 12 year period, Brave focused on building a multichannel offer that met with Wheelbase’s customer requirements, delivering solutions that allowed it’s customers to shop and interact with them in the way they expected, by proving they understood the product and were a real authority. Using the existing bespoke digital web platform, Brave provided a web solution which would push more revenue by increasing conversion optimisation by utilising good design and UI. Brave’s relationship goes back some years with Wheelbase, to the print era where company’s in this sector relied on sales and marketing such as magazine display adverts predominantly. Their transition to online from the start was the making of today’s largest and most successful online seller of performance alloys. We’re proud to have been part of that journey.